Come Taste the Healing Powers of our Forbidden Fruits. Metro Detroit’s Premier MMCC. We are here to serve you, please come in and enjoy our facility. We offer a full variety of all your favorite flowers. We now serve MEDICAL Marijuana Patients ONLY. Safe, discrete, and highly professional setting. We offer PREMIUM TOP SHELF organic grade meds. 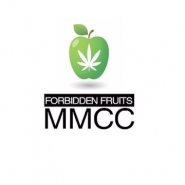 Our goal here at Forbidden Fruits Detroit is to provide the best care possible for our patients coupled with outstanding customer service. First Time Patients: Up to 2 Grams + Giveaways. Early Bird 10-11am 4 gram 8ths!